Being a pet owner, it is very hard for the pet owner to say no when their little companion beg for a treat. However, several scraps and insufficient physical activity can make your pet obese, which is rising among the pets in US. 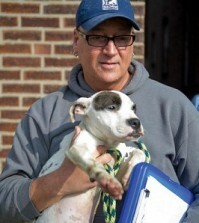 According to the veterinarians, the problem is not with the pets, it is actually with the pet owners. 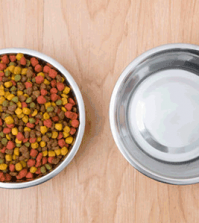 Most of the pet owners are not aware of the pets’ healthy eating habits as well as physical activities. According to the recent studies, about half of the cats and dogs in the US are obese or overweight. Similar to humans, the list of effects due to obesity on pets is also higher, such as heart problems, decreased lifespan, liver, kidney, joint and lung problems and also decreased quality of life. As a pet owner, we treat our pets like our children. We all know that during some cases, it can be highly dreadful to say NO. Some pet owners said that, pets like Beagles are beggars, with big brown eyes want part of your food whenever you eat. Dog with significant amount of excess weight are at higher risk of arthritis, hypertension, various kinds of cancers, and dog diabetes. All these conditions can not only decrease the lifespan of your little companion, but also decrease the pet’s life quality. According to the survey conducted in the year 2012, approximately 43.2 million torties, tabbies and calicoes in the US are obese. That means, about 3 out of 5 cats in the US are obese those are at the risk of various diseases. 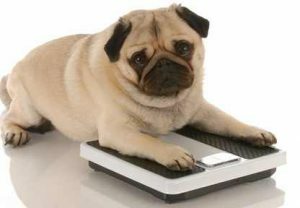 Since the rise in pet obesity appears to have similar backgrounds to weight gain in humans, some weight loss methods for pets, such as exercise equipment and interactive weight-monitoring tools, have been demonstrated after humans’ weight-loss programs.